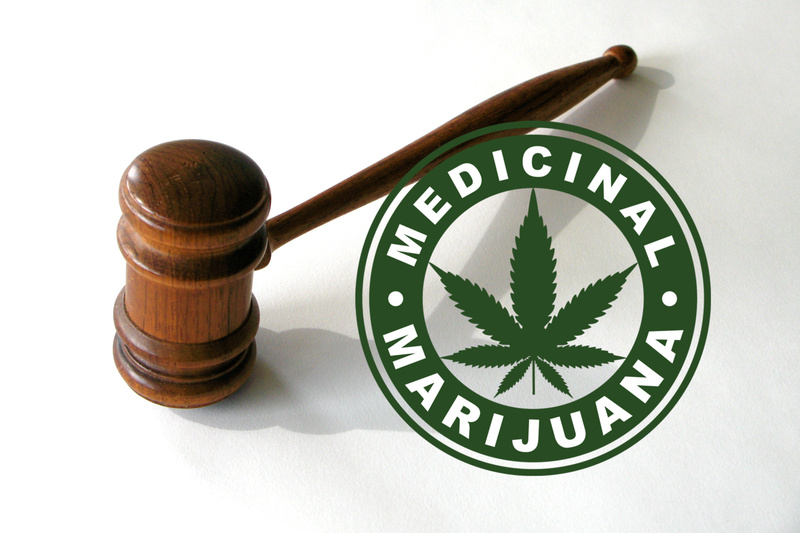 A decision made in a Parker courtroom regarding medical marijuana across state lines has been upheld by the Arizona Court of Appeals. Stanley Kemmish, a California resident, was stopped by the Arizona Department of Public Safety in La Paz County in 2016 for a headlight violation. When the two officers approached his window, they detected a marijuana odor and a white pipe was seen in plain sight. The officers searched his vehicle and he admitted the pipe was his. He had the marijuana and some THC wax in the vehicle. Kemmish told the officer he was using the marijuana pursuant to California medical marijuana law with a valid physician’s recommendation letter, and produced the letter which he had in the vehicle with him. Kemmish was indicted by the La Paz County Attorney’s Office with one count of possession of narcotic drugs for the marijuana-based THC wax and one count of possession of drug paraphernalia. Kemmish moved to dismiss the indictment with prejudice, saying that under the California Compassionate Use Act his physician’s recommendation letter allowed him to possess the THC wax and marijuana. In California, unlike in Arizona, a physician’s letter is a sufficient legal alternative to a medical marijuana card. The court agreed with Kemmish, dismissing the charges against him on the basis that a physician’s letter is the legal equivalent in California of a state-issued medical marijuana card in Arizona. “Equivalent means, adj. 1. Equal in value, force, amount, effect, or significance,” Vederman wrote in his ruling. The La Paz County Attorney’s Office appealed, and the appeals court heard the case in oral argument in February. (Watch the oral arguments on YouTube HERE.) The case lasted around 40 minutes, with attorney Joshua Smith representing the County Attorney and attorney Todd Coolidge representing Kemmish. Smith added that he sees the Arizona legislature’s language as an attempt to include equivalent state departments, rather than equivalent documentation. But the justices peppered Smith with questions which seemed to imply that they did not see the language in the statute that way. When it was his turn, Coolidge got up and told the justices he thinks this is a small issue. “I will tell you that in my practice all around the state, La Paz County is the only county that prosecutes possession of marijuana with a recommendation letter,” he said. Coolidge said that Arizona state law does not tell other states what documentation they need to require patients to have, it simply honors the equivalent requirement in a reciprocal way. The justices did acknowledge that the list of conditions under which a patient could qualify for use of medical marijuana in California is wider than the list in Arizona, and said they were expressing no opinion in the Kemmish ruling on whether a California patient with one of the conditions not on the Arizona list would qualify to possess marijuana in Arizona. They also said they would “leave for another day” the question of whether a physician’s oral recommendation is sufficient documentation under the Arizona statute, as it is in California. La Paz County Attorney Tony Rogers said he does not intend to appeal the ruling further. Given La Paz County’s close proximity to California, Rogers said his office deals with the issue more often than other counties and therefore have a bigger stake, and more interest, in getting a legal answer that will set precedent for how his office treats future such cases. Guess what then.. now Arizona concealed weapons permits are also equivalent in Commiefornia ! Clarification was not needed because the words are plain as can be to my eyes. Mr. Tony Rogers did not read the words properly and taxpayers spent money because of that. What a waste of taxpayers dollars.